30 Day Photo Challenge-Day 16 – A picture of someone who inspires you. This is Megan. Affectionately known as Meggie Muffin to her family, she lives in Ireland and when I say she lives, I mean she really lives! 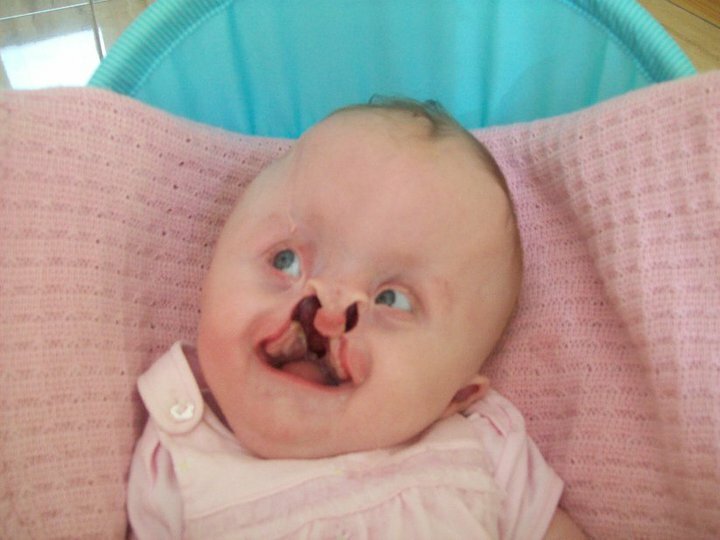 When Megan entered this world, her family had already been told to expect that she wouldn’t breathe and if she did it would be for a short time. That was over a year ago. This little fighter refused to give up. Defying the reports, she not only kept breathing but she has survived the health care system that didn’t understand her value or her abilities. Today she is especially inspiring because in the morning, she will be taking a trip to a larger city where she has already found healthcare professionals who believe in her. She will have the surgeries that she has been waiting for and we are praying she gets the treatment she deserves. I love this photo because her smile is bright and sweet! It is as if she is saying, “You should see life through my eyes! My life is full of love and grace!” Yes sweet princess, I do believe I would like to see the love that makes you smile so beautifully!